Our bud Leah over at StyleWise Blog recently did a little review for us on our newest flowy pants and ruched skirt. 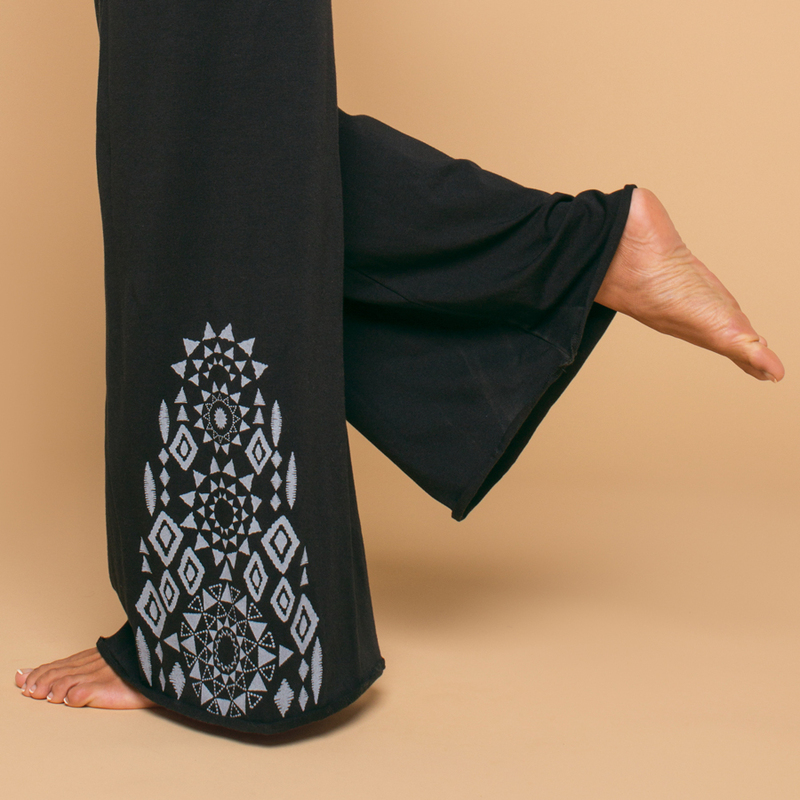 Our latest Flow Collection features these flowy hippie pants and ruched skirt as well as a drapey cardigan. 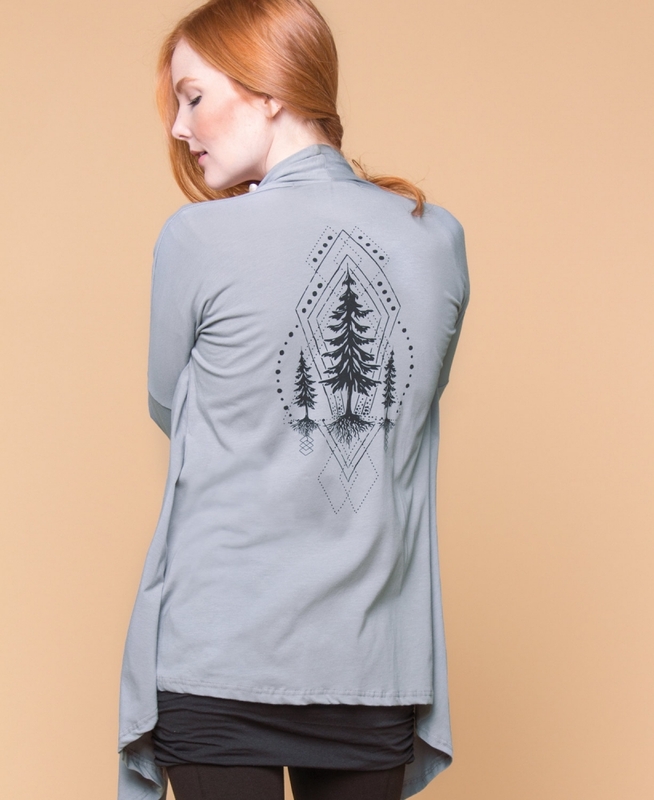 These are fairly made organic pieces are comfortable, super soft and feature hand-drawn artwork. They are perfect for layering, mixing and matching. 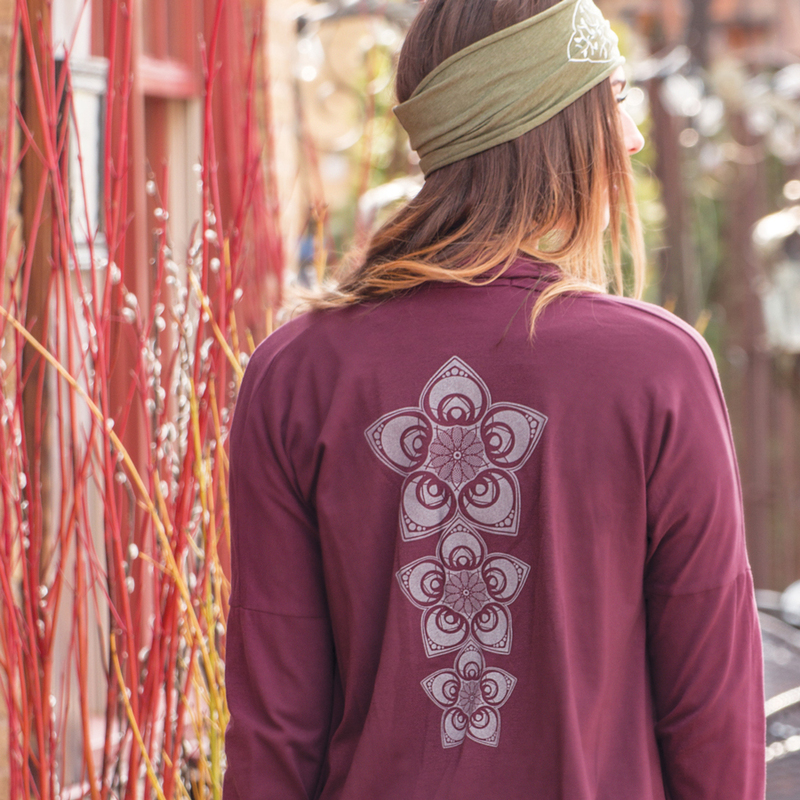 Read on the hear what Leah thought and see more of our newest flow collection, including bohemian pants. The Flow Collection consists of a simple cardigan, flowy pants, and a layering skirt intended to add ease to your everyday activities, whether it’s yoga, dance, lounging, or sitting down and writing a blog post. 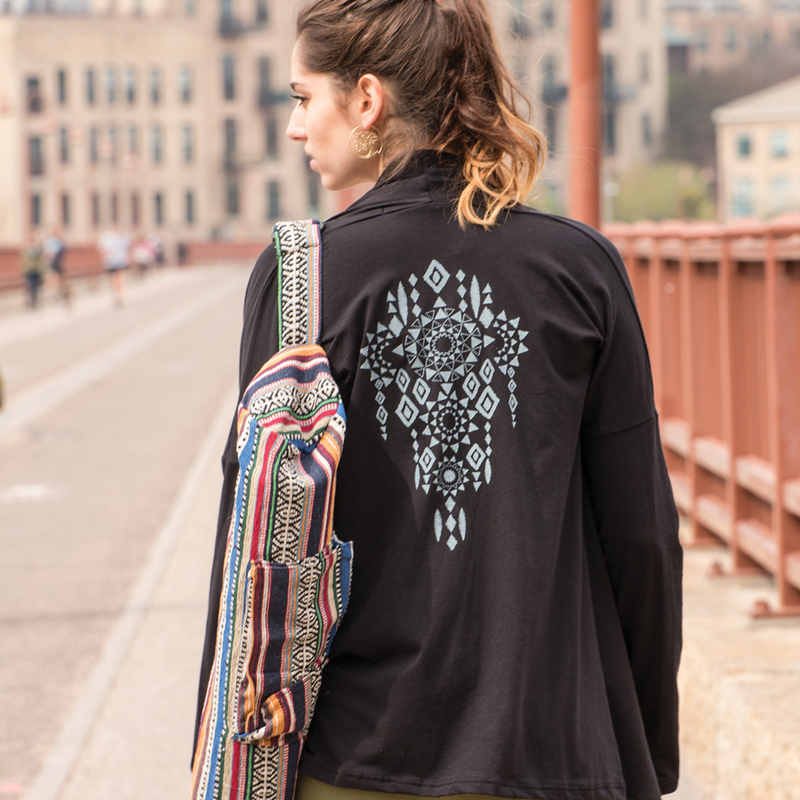 Soul Flower’s pieces are made fairly with organic cotton (with a bit of stretch for longevity) and low impact dyes, so they tick all the boxes for me. I love the dramatic silhouette of these pants. a great option for me, because I’m always a bit nervous about wearing leggings as pants. Read the rest of Leah’s view here and also take a closer look at our Flow Collection (printed flowy pants, ruched skirt and our drapey cardigan). 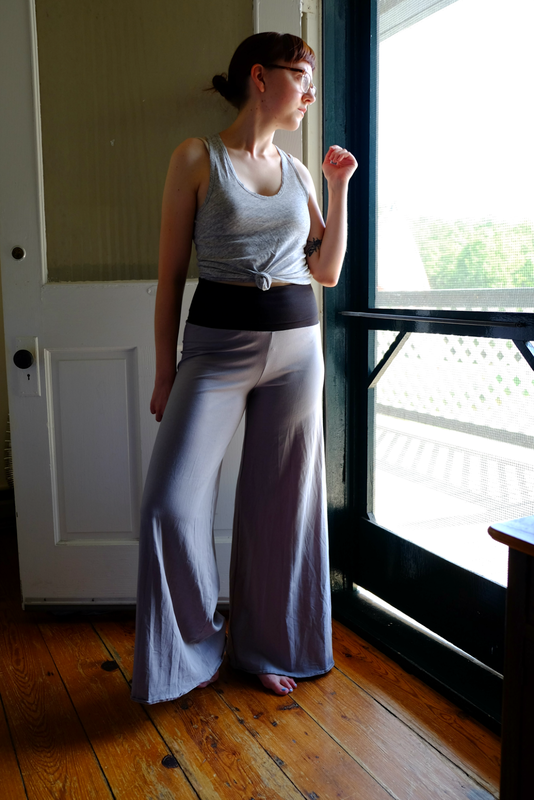 Thanks Leah for the great review of our flowy hippie pants and ruched skirt at Stylewise Blog! « Were You At Woodstock?